2 May: All throughout Germany roads are clogged with German soldiers and other displaced persons attempting to reach American and British lines before being overtaken by Soviet troops. Under these conditions the 504th is advancing towards the town of Ludwigslust, a city of about 10,000 people. General Gavin, commanding general of the 82nd Airborne Division meets with and accepts the surrender of the German 21st Army Group. The surrender will take place over the next 7 days as all of the army group’s troops filter through 82nd roadblocks and checkpoints. 3 May: 82nd paratroopers make contact with Soviet troops in the town of Eldenberg. Toasts to Stalin, Roosevelt, and Churchill are accompanied with copious drinks of vodka. For the 504th, the fighting is over. 5 May: The 504th discovers Wobbelin, a concentration camp home to Russian, French, Spanish, Belgian, Polish, Dutch, and German citizens who were considered undesirable by the Nazi party. While not an extermination camp, hundreds of dead litter the camp from a combination of being worked to death, starvation, and disease. Citizens of Ludwigslust are forced to help exhume and respectfully bury bodies found there. 7 May: German General Alfred Jodl signs documents of unconditional surrender at 02:41. In Ludwigslust 504th chaplains lead a service to commemorate the dead. 8 May: Full surrender of German forces goes into effect at 11:01 am. For the following weeks the 504th performed occupation duties, mainly looking after German prisoners. 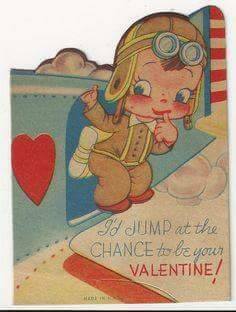 Happy Valentine’s Day, All Americans! Thanks to Dalton & Katie Bequette for the find! Whether it be to our significant others or our Reenacting Life Partners, the All Americans wish all of you a very happy Valentine’s Day. In other news, we’ve been doing some checking around and realized that some of our links were still pointing to our old site. We think we’ve caught all of them, but if you find a bad link, please be sure to let us know. The All Americans’ new location is live and so is our website. We’ve been a bit quiet lately but look for brand new content very soon: more detailed impression guides, reenacting how-to’s, and even a history of the coveted Gomez Award. To make sure you don’t miss anything, look to the right and submit your email to be on our update list. Also, make sure you check out the pictures from our recent living history at Latta Plantation where we recreated the 504th on the front lines of the Battle of the Bulge. The Internet’s Most Complete Photo Archive of the 325? Apologies for the rhyming title, but thanks to Cpl. Matthew James and many others, it may just be that the internet’s most complete set of 325th G.I.R. photos is now online! Both the 504th and 325th photo pages need some curating and organizing still, as well as your comments on what you are seeing, what is going on, and who is doing it, but they’re up for your enjoyment and research purposes.